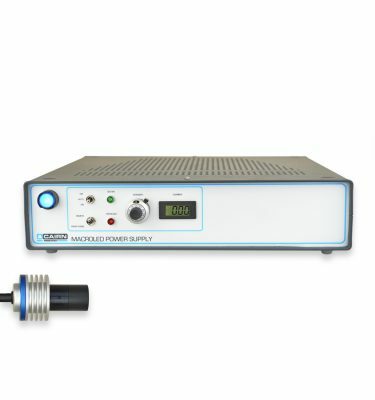 We are pleased to announce that version 2 of our OptoTIRF will be launched at Neuroscience 2018 (November, San Diego). 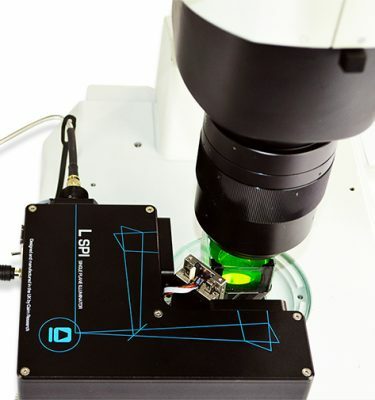 We are very proud to be system integrators for the iLAS-2 circular scanning TIRF illuminator system, and consider this to be the best objective based TIRF microscopy illuminator on the market. We are aware, however, that the relatively high cost and complexity of this system makes it unsuitable for all groups. 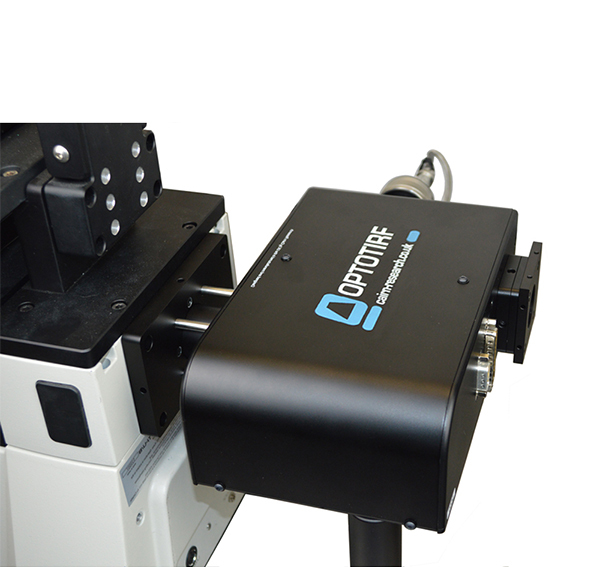 We have therefore designed the OptoTIRF as a flexible and affordable alternative. 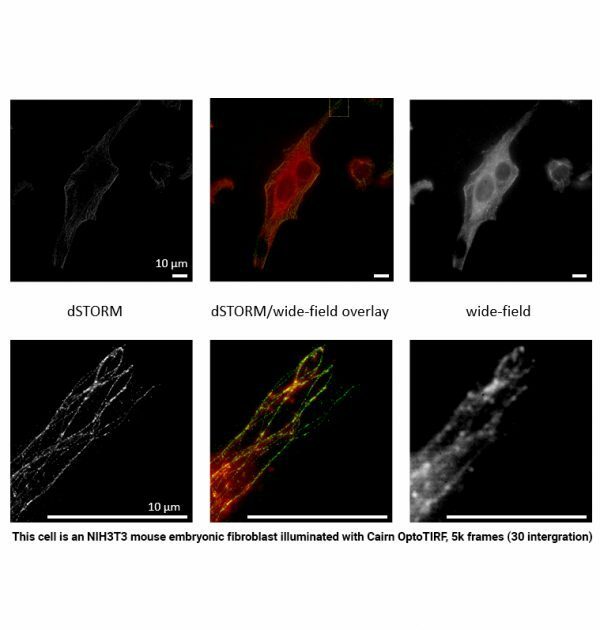 The OptoTIRF is a compact and powerful, yet inexpensive, motorised TIRF illuminator designed to fit onto any research-grade inverted microscope. 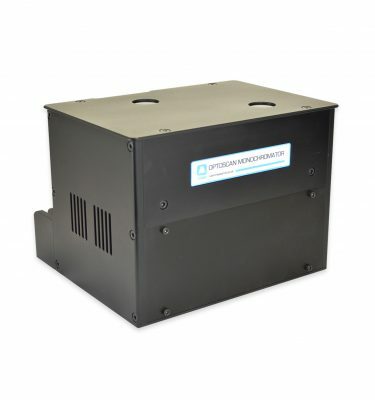 It allows the laser spot to be focussed in multiple positions in the back-aperture of the objective with joystick or software control and simple storage and recall of preset positions. 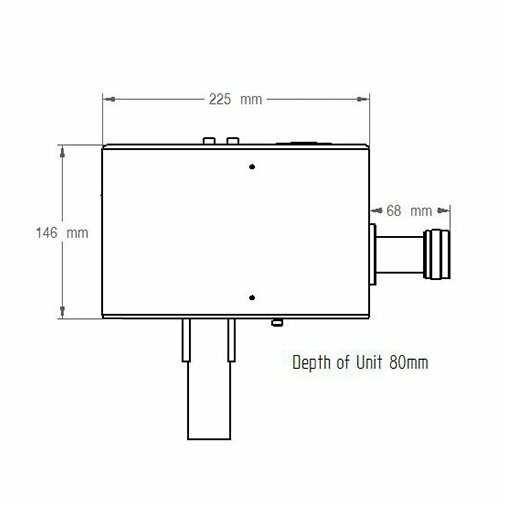 This makes it suitable for acquisition protocols involving TIRF and / or oblique illumination at a range of penetrations depths and wavelengths. 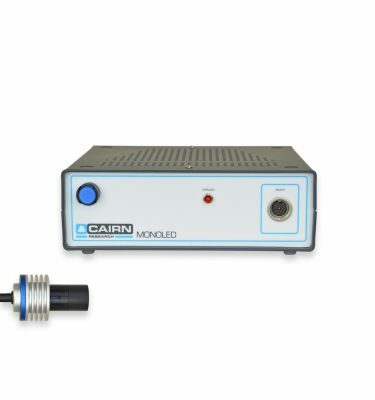 Although it lacks the scanning functionality of the iLAS-2, the 360 degree stepper motor control allows the user to image at multiple points during an experiment making it straightforward to tweak the illumination to the sample and minimise fringes or shading gradients. 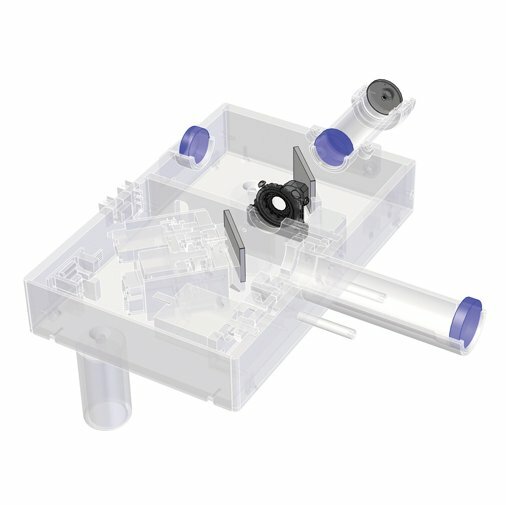 Flexibility is further enhanced by a motorised tube lens for automatic correction for different height sample dishes, or different magnification TIRF lenses, and a motorised bypass for widefield illumination using LEDs or a liquid light guide.